Any skin degradation involving an Illinois nursing home resident has the potential of causing a life-threatening bedsore. Because of that, the nursing staff is required to follow established procedures and protocols when providing skin treatment, skin assessment, and monitoring. Unfortunately, not all nursing homes properly train their Registered Nurses, Licensed Practical Nurses, and Certified Nursing Assistants. Rosenfeld Injury Lawyers LLC have represented many individuals who have suffered serious facility-acquired bedsores while residing at Illinois nursing facilities like River North of Bradley Health and Rehabilitation. In addition to providing 24-hour professional skilled nursing care, the home also offers rehabilitation services. A list of safety concerns, health violations, opened investigations and filed complaints on nationwide nursing homes can be viewed on federal and state database websites including Medicare.gov. Many families use this data to determine the best facility to place a loved one who requires the highest level of hygiene assistance and skilled health care. The deficient practice was first noted by the state investigator who reviewed the resident’s September 2016 Admission Face Sheet revealing the resident “had a diagnosis of a fracture to the left lower leg, hypertension, breast cancer, major depressive disorder, diabetes mellitus type II, spondylosis, COPD, fibromyalgia and oxygen dependence." The investigator reviewed the patient’s Skin Assessment Monitoring Sheet filled out by the Certified Nursing Assistants that did not document any change to her skin in the previous two weeks. 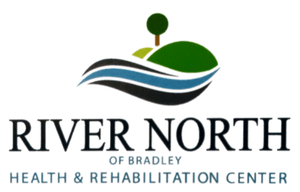 If you believe that your loved one was victimized by caregivers, visitors or other residents at River North of Bradley Health and Rehabilitation, call Rosenfeld Injury Lawyers LLC today. Allow our reputable Bradley attorneys to handle and resolve your compensation case involving abuse, neglect, and mistreatment that occurred in a nursing home in Illinois. We urge you to contact our Kankakee County elder abuse law office today at (888) 424-5757 to schedule your free, no obligation comprehensive case review. No upfront retainers or fees are required because we accept every wrongful death lawsuit, personal injury case and nursing home abuse claim for compensation on contingency.